If you are planning a Tent Wedding in West Chester Ohio, A Gogo Event Rentals can assist you in bringing the vision of your event to life. A Gogo can provide custom wedding layouts, many wedding tent rental options for any guest count. We provide wedding tent rental packages that include a tent, tables, chairs, dance floors, tent lighting, linens, cake tables, and bars. If you are interested in an itemized quote custom for your wedding please contact us. We offer a full line of rustic wedding rental items, chairs, tables and more. 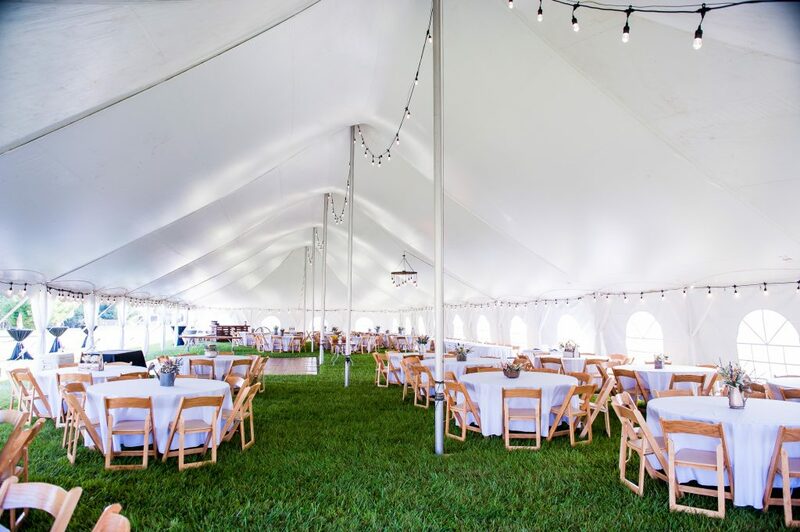 All of our West Chester Ohio wedding tent rental options are clean and bright white, professionally installed by A Gogo’s friendly and courteous staff. Request a free quote, layout, and consultation, please click the quote request button below and fill out the information.